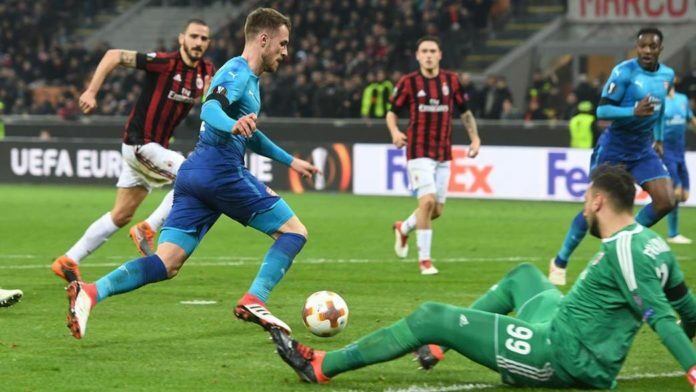 Finally Arsenal grab a winner, a rather unexpected one at the at San Siro. Goals from Mkhitaryan and Ramsey ensured the long awaited victory. Given the circumstances prior to this match, this was an extraordinary response from the gunners after they had registered 4 losses on the bounce; twice beaten back to back by Manchester city and also a horrendous loss to Brighton over the weekend. The Milan victory wouldn’t have been achieved without the exception £350,000 a week magical Ozil who created the two goals taking his tally of goal involvement to 100. Mkhitaryan also showed why the Frenchman thought of him as a worthy replacement for Alexis Sanchez. The job is not yet done with a second leg still to play at the Emirates stadium and the gunners are not the team to gamble on not to concede three goals even on their own grounds. Fast forward to this weekend, Arsenal face Watford at home, a rather not so comfortable fixture for the home side if their last two fixtures are anything to go by. Watford won both by 2-1. Nine points separate these two sides with Arsenal sitting in the sixth position and Watford three places below them in ninth. Watford are having quite a season of their own, with a decent away record they a have the capability to add onto Wenger’s woes. Arsenal have the edge on this but as we have seen before a number of times this season, that’s nothing to go by at times. Mourinho took us back to Fergie time on Monday night. A last minute screamer from Nemanja Matic ensured 3 points for the Manchester side against a rather resilient Crystal Palace side. Palace had a good first half and took the lead through a Townsend goal who was helped a deflection off Lindelof, which lead they took into half time. Jose changed things up with bringing on Rashford for Mctominay, only for united to concede within the first ten minutes of the second half through Patrick van Aanholt. Two other substitutes seemed to do a decent job in Mata and Shaw having replaced Young and Valencia respectively. A headed goal from Smalling put United back into the game and a goal from Lukaku, who is one goal shy of 100 goals brought united to level terms. A stoppage time strike from Matic got the job done to put united ahead. Liverpool beat Newcastle 2 goals to nil which was a comfortable victory for the reds. Goals from Mane and Salah. With lots of questions piling up at old Trafford from where Pogba’s best position is, which centre back pairing is the best? Where should Sanchez really be played? Rashford or Martial or Lingard? United’s Saturday opponents seem to rather have sorted out most of their problems. Liverpool are flying high, they are the second highest scoring side in the league with 67 goals and Mo’ Salah netting almost 36% of them. He is the set to be the second quickest Liverpool player to reach the 30 goal mark. Van dijk seemed to have solved the problems at the back for now, Liverpool have conceded 3 times in the last 7 games and two of these came against spurs. With that said, Salah’s form can be mentioned in the same breath as the man in between United’s sticks; De Gea, he has been by far the most consistent united player. De Gea has now saved 14 more goals more than any other keeper and has an 81% save rate, highest so far ever in the premier league. United will hope for pogba to be at his best, lukaku hasn’t disappointed this season thus far so they would hope he doesn’t this time round, and the defense that’s looked far from perfect to contain Liverpool’s front three. READ Christiano Ronaldo Bags FIFA player of the year 2017 award. Another interesting fixture is huddersfield vs Swansea, the swans obliterated west ham last weekend in Wales by 4 goals to 1. Carlos Carvalhal seems to be grinding out the wins slowly, back to back victories against Sheffield Wednesday and west ham give them a boost heading into the weekend. Swansea’s record on the road is quite a terrible one, they have scored only 10 goals away from home while shipping in 23. Both teams are on level points 30 apiece, so this makes it interesting. The home team have a poor home record themselves so leaving the swans better mentally prepared for this. Newcastle play Southampton, West brom Leicester, West ham Burley and wounded chelsea will be battling a wounded crystal Palace. Bournemouth have a crunch with spurs on Sunday. The visitors had a rather disappointing mid week at Wembley where they were beaten by a not at their very best Juventus, Spurs led in the first half through the Korean Hueng-min Son in the first half but then 2 second half goals from Higuaínand Dybala sealed Spur’s fate and they bowed out of the champions league. The weekend provides a perfect opportunity for them to get back to winning ways since they are playing a side they haven’t lost to in the last five meetings only one ending in a goal less draw. Hopefully Spurs will have this within their stride. Elsewhere other worthy mentionable games would be Dortmund vs Frankfurt, two sides that are divided by goal difference 3rd and 4th with BVB having the better one lock horns on Sunday evening. Frankfurt have quite a decent away record and should provide a perfect challenge for Dortmund who lost on Thursday at home to red bull Salzburg. Dortmund have won only once in the last five games, so they come into this game with two back to back draws in the Bundesliga. Frankfurt on the other hand have won four of their last five, so they come into this game in better form and may have a slight advantage over the home side. Inter Milan vs Napoli. Napoli lead the Serie A table by a point, they have a difficult battle on Sunday when they take one Inter Milan at the San Siro. 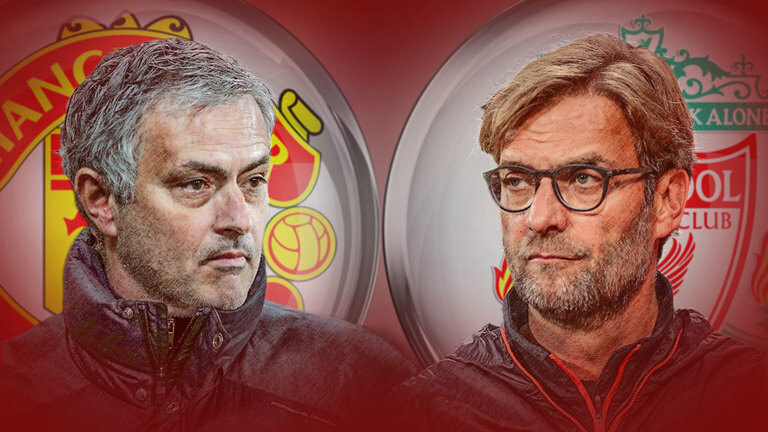 With 11 games to go the title race is far from over with more drama more likely to come. Inter are battling for champions league football at the moment, a point away from fourth and 18 away from the league leaders. Inter may have the home advantage but let’s not forget that Napoli is also rather good away this season. Crunchy one it’s going to be.